Since his solo debut with the legendary Philadelphia Orchestra at age nine, violinist Timothy Schwarz has been praised for his "energetic performances" (Rome News) and "technique beyond reproach" (Buffalo Times). Schwarz has recorded solo and chamber music CD's for Naxos, EMI, Marquis Classics, and Centaur Records. 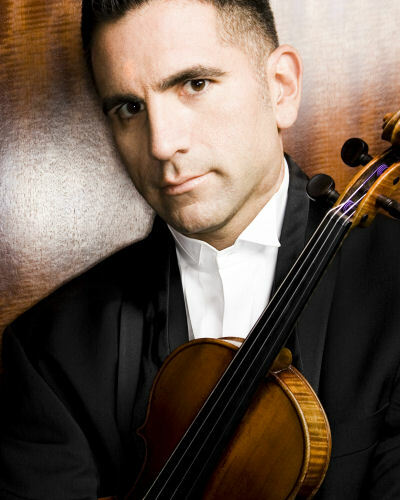 The American Record Guide praised his 2006 solo CD as "good enough to be the only recording in your collection", and his 2013 CD featuring the Pulitzer Prize Winner Jennifer Higdon was on the Top 10 Classical Albums in 2013 by the Philadelphia City Paper. Other awards include Best Artist in Maryland from the National Endowment from the Arts, and Gold Medal in the Artistic Ambassador Competition in Washington, DC. His 2017-18 season includes the Anglo-American Duo debut CD, Anthems after Prometheus, which was released by Albany Records in April, 2018 and features works by David Osbon. Fanfare Magazine praised the CD, saying "The Anglo-American Duo exhibit their usual solid technique and imbue it with great sensitivity... Anthems After Prometheus is an excellent collection of David Osbon's fascinating compositions played by musicians of great virtuosity." Rowan University awarded Dr. Schwarz a $10,000 career grant for the production of this recording. His program Music from the Underground, performed with pianist Dan Weiser and featuring music by minority composers, will be performed over a dozen times across the USA. Other collaborations include performances with bassist Xavier Foley and Marcos Machado. Concerto appearances include works by Khachaturian, Sarasate, Bottesini, and Saint-Saëns. The 2017-18 season is Dr. Schwarz's first season as leader of the Rowan String Ensemble, a conductor-less orchestra which promotes music by minority composers, and draws awareness to issues around social justice through music.